Tourists know how beautiful, wild and natural Scotland can be. In 2017 Scotland officially became the Most Beautiful Country in the World according to renowned travel publication Rough Guide, the bible for world travellers. What is less well-known is that the value of Scotland’s natural environment to our economy is huge and lays the foundation for Scotland’s continued prosperity as we move towards a more sustainable approach to economics. Research by the Office for National Statistics examined the value (known as partial asset value) provided by natural resources, such as wind, Timber water, oil and gas, to Scotland’s economy. It found that the value of Scottish natural capital was estimated to be massive £273 billion. This isn’t the value of all of Scotland’s oil etc (that’s much higher) just the natural asset component less the costs of production and management etc. To put that figure into context with 8.4% of the UK population Scotland’s natural wealth represents 34% of the UK’s as a whole. It’s also worth noting that these latest figures are for 2015 at the depth of the oil price collapse meaning the next set of figures will be significantly higher as prices have recovered and extraction costs reduced dramatically. The image above highlights some of the facts that underpin Scotland’s natural wealth, some from the report and some from our own research. The truth is we could have added dozens of facts about other sustainable economic assets such as the value to our health. “Scotland’s habitats are responsible for removing 29% of the UK’s most harmful pollutants”. As well as enjoying four times our population share of the UK ’s natural wealth we produce about double our population share of the UK’s food at roughly 16.1%. This includes 18.3% of total UK cattle and 70% of the UK’s fish landings, of which 60% is then exported. It’s well known that Scotland’s oil and gas sector has been unbelievably badly managed by successive UK Governments. Far from needing the broad shoulders of the UK, Norway, Scotland’s twin nation, has managed to generate £381 thousand million more than the UK in revenues from its oil industry despite having produced 4% less oil when we did those calculations in 2017. And in 2018 (4 years later) here they are claiming there is 20 years of oil left and then, this year, estimating that almost 4 billion barrels of new oil have been found. No wonder people are confused. The new prediction (they say) is driven by lower production costs, technical advances and 30 new fields coming on stream, which of course is what Business for Scotland predicted would happen. Scotland got lucky once in the North Sea with oil and gas but unlike similarly-sized independent Norway, the UK Government wasted that opportunity for Scotland to benefit from its natural wealth. We have got lucky again in the North Sea with renewable energy -lets not make the same mistake. Clearly, as the world moves to a more sustainable economic model, Scotland is again well positioned to benefit and lead the change. 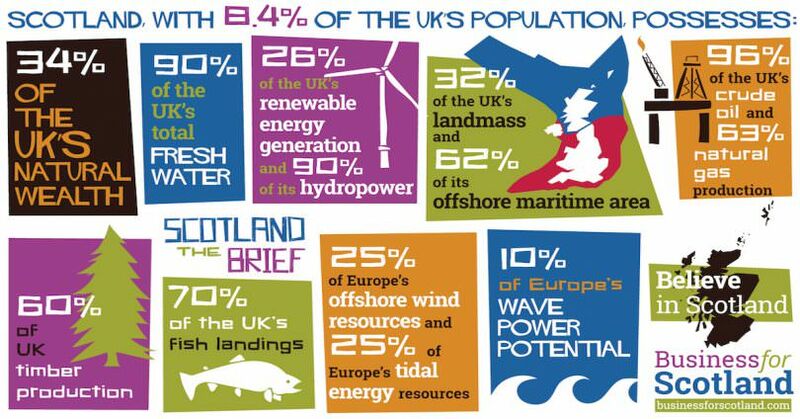 We have been talking about Scotland’s percentage of the UK’s natural wealth but it’s striking to comprehend that with less than 1% of Europe’s population, Scotland possess 25% of Europe’s offshore wind resources, 25% of Europe’s tidal energy resources and 10% of Europe’s wave energy potential. So protecting Scotland’s natural assets is key to its future wellbeing and prosperity. As one of the world’s most naturally wealthy nations Scotland has the potential to create sustainable prosperity for its people that has been missed by the demonstrable mismanagement of the successive UK governments. Scotland’s natural wealth would be one of the key foundations of Scotland’s future prosperity as an independent nation. 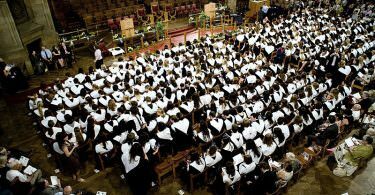 It is unthinkable that a country as naturally wealthy would not thrive if it were to gain the power to manage these resources for Scotland’s benefit rather than have those benefits diluted and distributed across the rest of the UK by a Westminster Government that sees Scotland’s wealth as something to be exploited rather than stewarded and safeguarded for future generations. This is another reason why the people of Scotland should truly Believe in Scotland. We really do not realise how lucky we all are to have all this at our fingertips and we should always hold it dear to our hearts! We really love you Scotland and will always stand up for you!